What’s your horoscope, Pisces? The two words that define you are: “I believe”. You truly have vision and natural intuition. You are kind, sympathetic to others and spiritually-inclined. So who are you really, Pisces? What’s your lucky color? What’s your lucky number? Who are you compatible with? Even if you are not traditionally a believer in “the stars”, you most likely know what your Zodiac sign is. 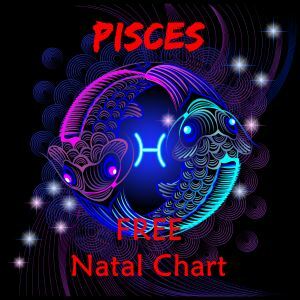 This page gives a thorough overview of the star sign of Pisces and links to your weekly, annual and Pisces daily horoscope. 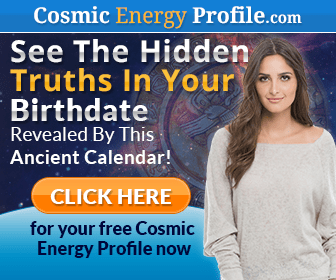 If you want to delve deeper and plot your Pisces birth chart, then check out our article about a free Astrology Guide that will get you started. And if you are a Pisces, we know you will truly make a project out of this task! So, who are you Pisces and what do the stars have in store for you? Scroll down to find out! STOP! Are you sure you are a Pisces? If you were born on the day the Sun moved into a new sign then you were born “on the cusp”. For example in the year I was born the sun moved into the next star sign, just two hours before my birth. Are you absolutely sure that you are an Pisces? Or are you really a Aquarius or an Aries? If you were born “on the cusp”, (ie around the 20th February or 19th March) use this link to check exactly which star sign the sun was in the day you were born: About Cusp Signs. Pisces is the 12th sign of the Zodiac and its symbol (or glyph) represents 2 fishes pulling or swimming in opposite directions. In Western astrology, Pisces is considered to be a “feminine”, negative and introvert sign, along with the other five even-numbered signs of the Zodiac: Cancer, Taurus, Virgo, Capricorn and Scorpio. Pisces is a very dull constellation that is not visible to the naked eye. It is located in the night sky between Aquarius and Aries. According to Greek mythology, the constellation of Pisces originated from a story of Aphrodite, the goddess, and her princely son, Eros. A great monster named Typhon launched an attack on Mount Olympus, home to the gods and goddesses of ancient Greece. Most fled from the monster, but Aphrodite and Eros found themselves in desperate need of escape. Either way, the two fish are key to Aphrodite and Eros escaping from the monster Typhon. As a result, they were given the special honor of being immortalized in the sky as the constellation of Pisces. The traditional ruling planet of Pisces is Jupiter, which represents leadership, luck and joy. Jupiter was the ancient mythological ruler of the gods. Neptune, representing sensitivity and spiritual enlightenment, is the more recent New Age co-ruler of Pisces. Do you identify with any of these…? The Element of Pisces is “Water”, which it shares, and is compatible with, Cancer and Scorpio. 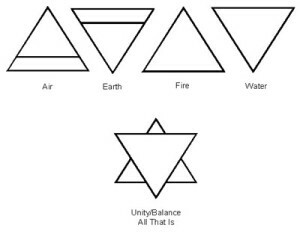 The Element of Water symbolizes flowing, intense emotions and basing actions and decisions on feelings rather than facts. 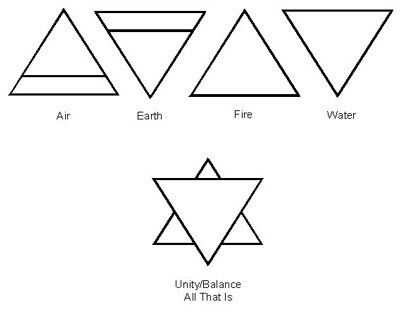 It represents intense emotions, sensitivity, compassion, intuition and empathy. The signs of the Zodiac are also divided into Qualities: Cardinal, Fixed and Mutable. The signs that share a Quality are generally regarded to be hostile to each other. The Quality determines the basis for an individual’s temperament. Those with a certain Quality will tend to have dominating characteristics that come naturally and change little throughout their lifetime. Each Quality sees the world through a different lens and reacts to stimuli differently so that their reasoning and actions may be contradictory to the other Qualities. The Mutable Quality stands for transition. Mutable signs tend to be adaptable to change, new people and experiences. Pisceans tend to transition through reaching out to others and helping those less fortunate than themselves. Virgo (Earth), Sagittarius (Fire) and Gemini (Air) are also Mutable signs and are therefore less likely to be compatible with Pisces (Water). What’s to like about Pisces? 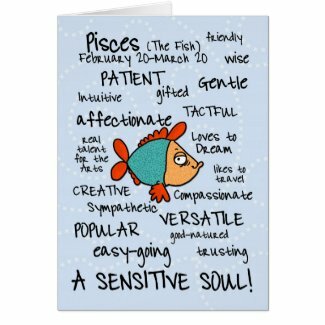 A person born under the star sign of Pisces is sure to be compassionate and sympathetic. They will be kind and aware of the emotions and feelings of those around them. They will be blessed with a good imagination and above average intuition that may seem at times to be otherworldly. Pisceans tend to be spiritual and benevolent, sometimes to the point of denying themselves in order to help others. What’s to loathe about Pisces? 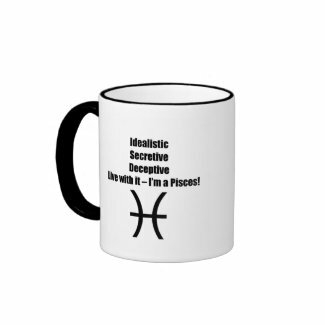 On the flipside, Pisces tends to have a few distinct negative traits, including a tendency to be overly idealistic. This leads them to be easily disappointed, and frequently depressed, when things don’t go quite the way they had imagined. Pisceans can also be weak-minded and impressionable; they can be easily hurt or led astray. What would you be good at, Pisces? Pisceans have big imaginations and are very creative. An unstructured career where they can set their own hours and explore their artistic side would be ideal. A regular 9-to-5 work day will feel unnatural and difficult for visionary Pisces. Because of their empathetic nature, Pisces would be well-suited to any career that allows them to help others in need. Great career choices for Pisces would be: photographer, art teacher, filmmaker, drug and alcohol counselor, bartender, author, freelance writer or church worker. Pisces will feel greatly fulfilled by doing volunteer service and working with children or animals. Pisces rules the liver and the lymphatic system. Those born under this star sign may be vulnerable to inflammation, gout and anemia. They may also suffer from diseases of the skin, such as painful boils and ulcers. Female Pisces may struggle through heavy periods. Pisces also governs the feet, leading to foot problems, including lameness. The number 2 represents the duality of the pair of fishes in the Pisces star sign. Two is a very powerful number for Pisces, encompassing the conflicting aspects of the saint and the sinner. The lucky colour for Pisces is sea green, the colour associated with it’s ruling planet, Jupiter. Sea green is an aquatic color that reminds us of the sea. Shades of green are the colors of love. In the Greek myth surrounding the story of Pisces, Aphrodite is the goddess of love. Sea green represents the compassion, love and selflessness that encompasses those born under the sign of Pisces. Pisces finds luck with the colour sea green because it illicits calm and peace. Pisces are naturally empathetic to others and always willing to help those who need it. They bring the same calm and peace to others that is represented by the sea green colour. Pisces’ sensitive and romantic nature opens up numerous possibilities for the ideal vacation. Those born under this Water sign will be soothed by the sound of waves and seagulls on a sunny beach holiday. They will also enjoy a weekend getaway at an “off the beaten path” bed and breakfast or a winter vacation at a cozy ski lodge. 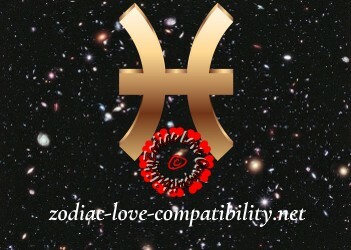 Previous PostPisces Compatibility ChartNext PostTaurus Compatibility Chart – Which Starsign is the Best Match for Taurus?